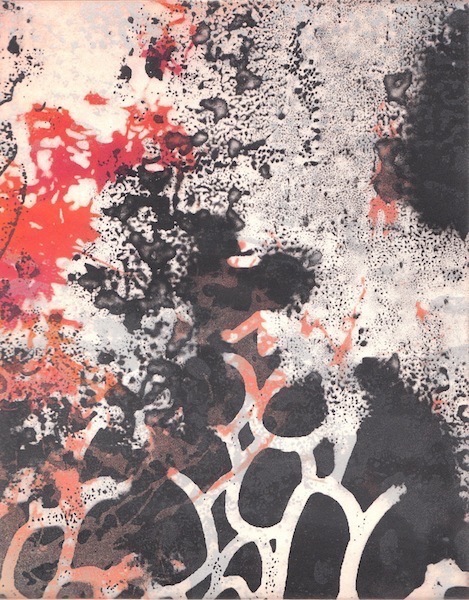 I have had a passion for printmaking since studying art at the Feevale University in Brazil, where I was born. My work explores the concepts of personal memories and identity and it has many points of reference. 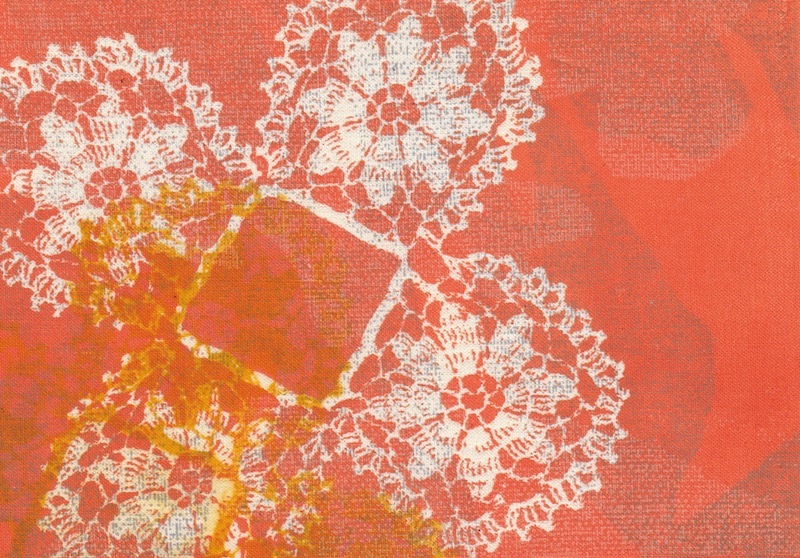 These can come from shapes and textures found in nature or they can be inspired by the rhythm of repeating patterns in the lace making done by women “rendeiras” in Brazil. I take fragments and draw shapes from the actual lacework or from my photos and then I assemble these images into my works. One process that I use in my monoprints is layering. 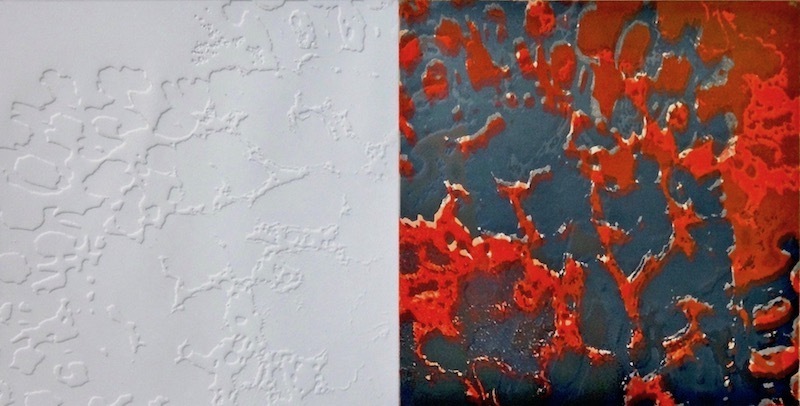 It allows me to use different printmaking techniques in the same work, for example, to print a photopolymer etching with a collagraph or with an embossing. 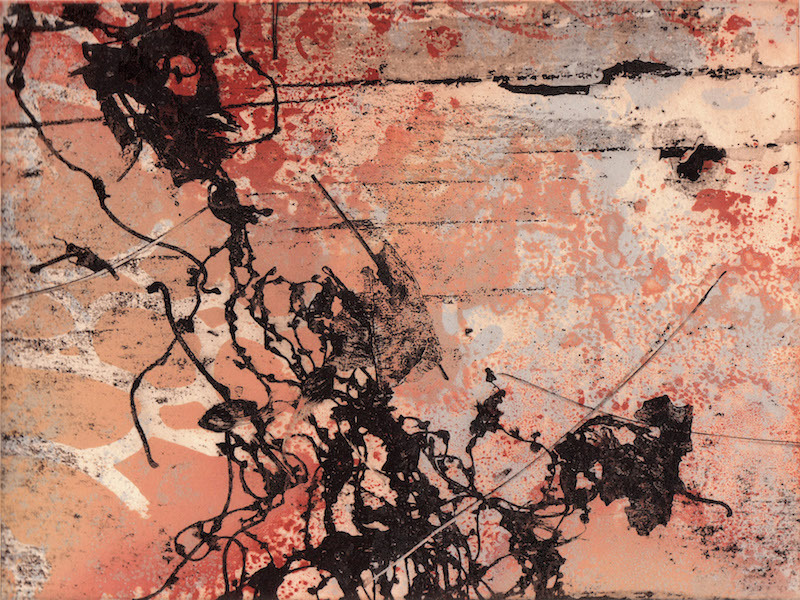 I may also add to the same monoprint some images that I have previously printed on sheer fabrics like organza. 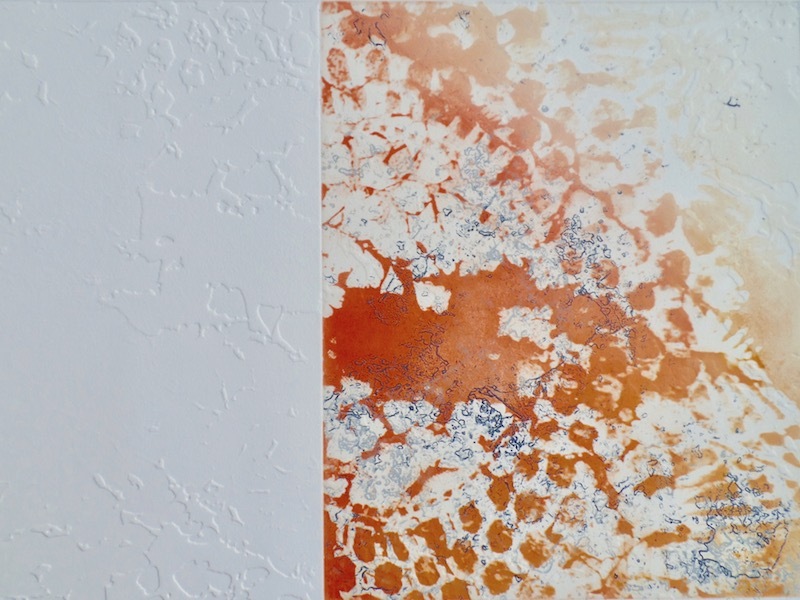 The transparency and the textures created by the many layers give endless visual possibilities to the monoprints. Through my artwork I feel a connection with the place I come from. 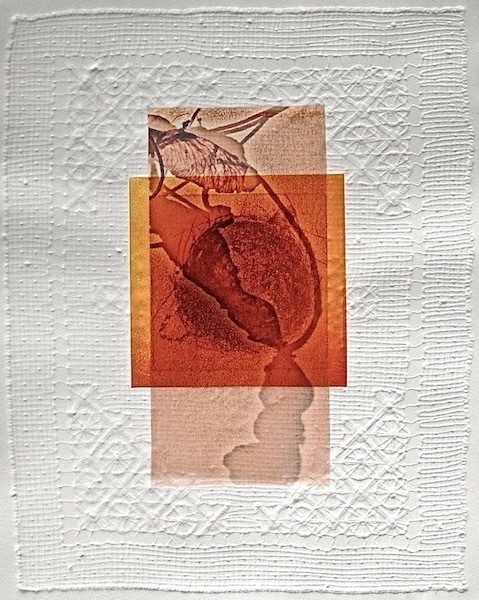 Close to the heart, 5 x 7 inches, Photopolymer Etching Monoprint on fabric.